This page is given as informational purposes only and should not be interpreted as legal advice. In a default situation, a mortgagee (lender), land contract seller or lien claimant may foreclose on the property. The Macomb County Register of Deeds records foreclosure deeds of mortgages, liens and land contracts (Sheriff’s Deed or Clerk’s Deed). The Macomb County Treasurer Office handles Tax foreclosures at 1 South Main Street, Mt. Clemens, MI 48043. (586) 469-5190. Foreclosure may occur through either a judicial process (resulting in a Clerk’s Deed) or by advertisement (resulting in a Sheriff’s Deed or Clerk’s Deed). Land contracts may be foreclosed through judicial foreclosure action and most mortgages/liens foreclosure process are through the Sheriff’s Department by advertisement. Homeowners in foreclosure may request a "Payoff Letter" through the Register of Deeds to find the redemption amount. The Payoff Letter fee is $25. CLICK HERE to download the request form. A written notice of default is given by the mortgagee/lien claimant to the mortgagor/owner.  The notice of mortgage foreclosure sales for Macomb County properties are published in the Macomb County Legal News for four (4) consecutive weeks prior to the public auction. The newspaper publication typically sites the mortgagor name and legal description, rather than the property address. The property address may or may not be cited on the referenced recorded mortgage document. A search for the property address may be obtained through one of the following -- a visit to Register of Deeds (search fees may apply) or online on your computer (credit card needed for search fees) or possibly the local tax records (city/township where property is located). A Sheriff’s Deed or Clerk’s Deed is issued to the highest bidder, whom will be named as the grantee of the sale. If no one bids on the property, the lender or foreclosing party becomes (and is cited as) the grantee of the sale on the Sheriff’s Deed or Clerk’s Deed. If a third party bids on the property, the bid must be greater than the the beginning auction amount. After the sale takes place, the deputy sheriff signs the affidavit of auctioneer. The Sheriff’s Deed shall be recorded within 20 days (or as soon as possible) after the sale. MCL 600.3232. Any Sheriff’s Deed or Clerk’s Deed grantee of the foreclosed (mortgage) property who pays taxes or insurance (or items allowed per statute) on the property (after the Sheriff’s Sale or Clerk’s Sale) is entitled to recover these expenses, with interest, if a redemption takes place. In order to be eligible to collect for these expenses, the purchaser must record an affidavit and meet the requirements per statute. MCL 600.3145;MCL 600.3240. The Sheriff’s Deed or Clerk’s Deed grantee should seek legal counsel, if necessary. During the redemption period, the mortgagor, mortgagor’s heirs, executors, or administrators or any person lawfully claiming from or under the mortgagor may redeem the property. The redemption may take place through the Macomb County Register of Deeds Office or directly through the grantee (or grantee’s agent or designee) of the Sheriff’s Deed or Clerk’s Deed by tendering the correct redemption amount (and required items if redeeming through Register of Deeds). The Register of Deeds will collect an additional $5.00 fee for the care and custody of the redemption money (for each foreclosure document being redeemed), pursuant to MCL 600.3240. As allowed by statute, the Macomb County Register of Deeds office may determine the amount necessary for redemption if a request is submitted, along with a fee of $25.00. CLICK HERE to download the request form. Register of Deeds will forward the redemption funds to the grantee of the sale and it will be determined by the grantee of the sale if the amount is sufficient for redemption. If the Sheriff’s Deed or Clerk’s Deed grantee deems the funds to be sufficient, it is the responsibility of the Sheriff’s Deed or Clerk’s Deed grantee to prepare and record a redemption certificate, pursuant to HB 929 and HB 931. If no redemption occurs, the Sheriff's Deed or Clerk’s Deed becomes operative at the conclusion of the redemption period. In a judicial foreclosure, the Land Contract seller, mortgagee or lien claimant files a complaint in Circuit Court after a default occurs. The judge enters a foreclosure judgment, which allows the Land Contract seller, mortgagee or lien claimant to schedule a foreclosure sale. A public auction is conducted. If a third party bids on the property, the highest bidder will be entered as the grantee on the Clerk’s Deed. If there is no bid, the Land Contract seller/mortgagee or lien claimant name is entered on the deed as grantee. The redemption period is stated as the last day to redeem in the certificate signed by the deputy clerk (on behalf of the county clerk), attached to the Clerk’s Deed. The redemption period may be 6 months from the date of sale or as set by the judge. The deed shall be recorded within 20 days (or as soon as possible) after the sale. MCL 600.3232. MCL 600.3140 and MCL 600.3145 govern redemption in judicial foreclosures. Redemption procedures for a judicial foreclosure are the same as a foreclosure by advertisement (Sheriff’s Deed).